I managed to locate some extra pockets of time (from somewhere) over the last couple of weeks to continue making progress with my SWEP1 service. 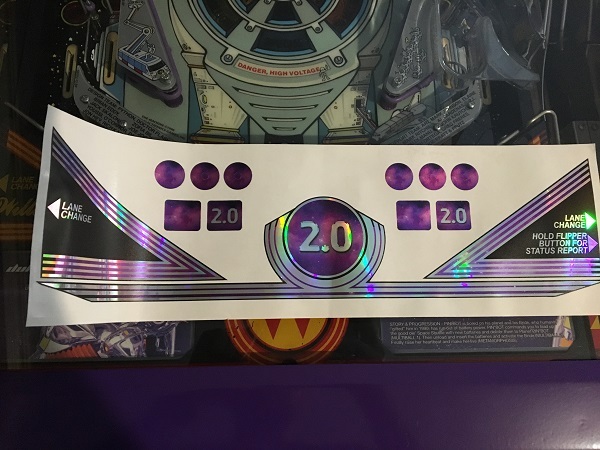 In this update, I wanted to focus on the apron and lower playfield areas. That way I wouldn’t need the game to be offline for long periods, allowing me to continue playing. First up will be the apron area. SWEP1 has an awesome transparent blue apron. The decals are in excellent condition except for one small spot on the shooter power gauge. 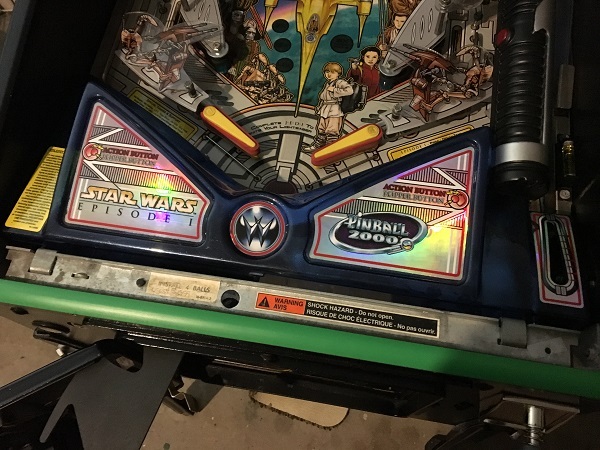 There was a time where I would have weeks (often months) between pinball projects. Not any more though. As one machine goes out the door, the next one rolls right on in. This time it’s back-to-back SEGA’s with a Harley Davidson replacing the Apollo 13. The last SEGA game before Stern took over. It was released in 1999 and there ended up being 3 editions released. The first from SEGA, which Stern then continued once it took over. That was followed by 2 additional editions a few years later by Stern. 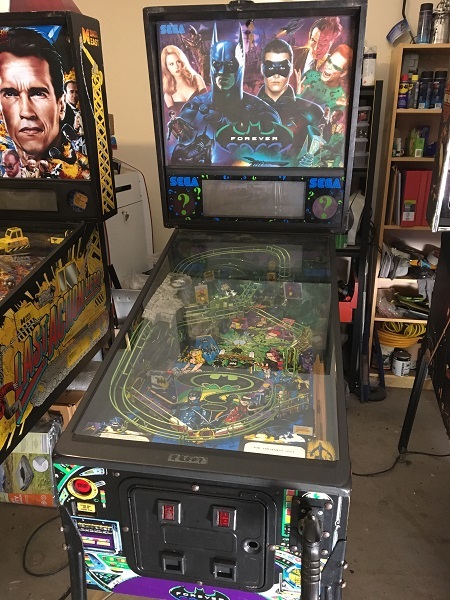 The game powers up, but has a few issues to look at. It needs a really good clean, but that’s typical of most games that come my way. The main issue I’m concerned about is (seemingly) random resets, which I will get to shortly. It has some mechanical issues, but those won’t be a problem to sort out. Let’s get started! Free time & empty space. Who needs it? Well, I do.. but I enjoy working on pinball machines too, so those things have to wait. I didn’t get to enjoy 5 minutes of free space this time before the next game arrived for me to work on. In fact, I had a small shuffle around to create some extra space for this additional machine to work on. 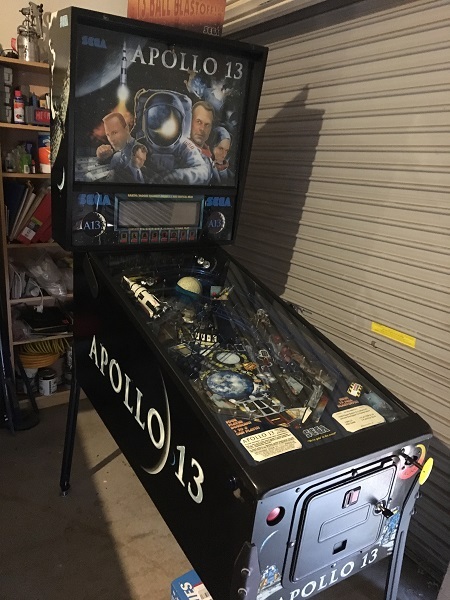 The freshly cleared area was instantly filled with a beautiful Apollo 13 from SEGA. I say beautiful because the condition is actually really good, with only a few small spots that need addressing. It’s Australian delivered and spent most of it’s life in a home. The game was released towards the end of 1995 and has so many balls (13) it needs two troughs to store them all. You’re up for a slab of beer every time you need to replace the set. That’s something to think about 😉 The game arrives with one known issue (sound not working), which will be my first item to address before I begin working my way through the game like I normally do. 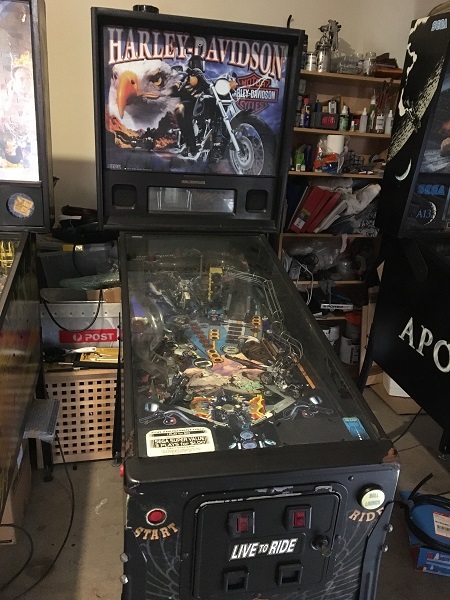 Although the game is reasonably clean on top, it looks like it hasn’t been given a good service in a long time (if ever) as there is a nice build up of black coil dust across all the assemblies below the playfield. I’ll be going through cleaning each one and replacing parts where necessary.